Do I Need to Get A Secured Credit Card? Go-Prepaid.com Prepaid services – No Credit Checks! An instant decision has no place in credit problem resolution. To repair bad credit people need to get the right information about different credit programs as well as debt-busting methods. This way, they can choose the right program that will allow them to gradually pay down their existing credit accounts and eventually regain their credit worthiness. The statements above can also be applied to card programs. Consumers who wish to repair bad credit history must also look for the right card accounts that can help them achieve their goals. For example, consumers with poor credit ratings may take out secured credit card programs to rebuild their credit profiles. But what are these programs all about? And how can secured credit cards help consumers re-establish their credit reputation? Allow us to discuss the answers to these two questions in the remainder of this article. 1.What Secured Credit Cards Really Are – Consumers need to know that secured credit cards require the provision of collateral or security. Such collateral normally comes in the form of an initial monetary deposit.. The deposit requirement in secured credit card programs actually serves two important purposes. First, it functions as the collateral for the use of the card. Should a cardholder fail to keep up with his monthly charges, then his card issuer can use the money that he has initially deposited to settle the unpaid obligations. Second, the initial cash out serves as the credit limit for the card. Consumers can continue using their cards in making purchases and in paying their bills so long as they do not go beyond the limit set on their respective secured credit card accounts. 2.Benefits of Using a Secured Credit Card – Secured cards function the same way as regular credit cards. Consumers can use them to sign up for online purchases and even make reservations at hotels, car rental companies and airlines. 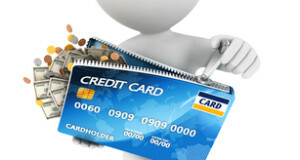 Secured credit cards can also help consumers avoid big credit problems. Since their spending will be limited only to the value that they have deposited on their card accounts, then they can surely avoid going overboard. This is the main reason why secured credit cards are perceived to be effective tools that consumers can use to gain control over their spending habits. 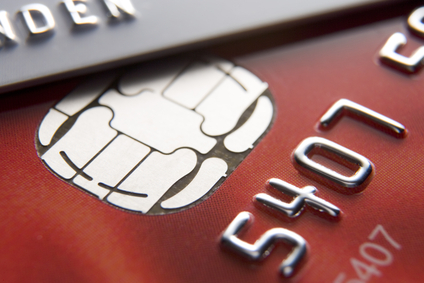 3.How you can make your credit card work to your advantage. Cardholders must resolve to pay their debt charges on time as this will influence the entries listed on their credit reports. They also need to use their secured credit cards discreetly. They can do this by using their secured credit cards only when it is extremely necessary. In so doing, they can gradually repair their bad credit history and they can eventually regain their credibility as borrowers. Tara Tiemann is a credit analyst for Go-prepaid.com which has been a resource site for people who want to live debt free. If you are on a budget using prepaid debit cards,prepaid credit cards and prepaid cell phone service can save you big money! Liz Roberts is the new credit specialist for Go-Prepaid. If you are on a budget, we can get you discounted cell phone service from Sprint, Verizon and T-Mobile! NO CREDIT CHECK ! Using a prepaid services can save you a TON of money! Follow our blog to find out how!